Hi, my name is Laura and yes, I am married to Dr. Royse. We have worked together before in Australia and are brave enough to do so again! I am South African born; Australian grown and Texan currently. I was a massage therapist for 12 years and have also worked in the fitness industry and many other fields. I am a huge believer in Chiropractic because I have personally experienced it's benefits and I have witnessed over and over again the gift of health and relief it provides for our patients. I love my family; I love Jesus and I adore animals. I am here to serve in any way I can and I look forward to meeting you! Hi my name is Deidra and the newest staff member here at Champions Chiropractic Center. I was born in North Carolina, but was raised in California since I was a year old. When I was 23 I enlisted in the US Air Force and stationed in Ft. Walton Beach Fl. From there I moved to Georgia and then North Carolina where I spent 8 years raising my two children, working and going to school. In 2014 I graduated with Honors from CVCC in Hickory North Carolina with an Associates degree in Healthcare Management Technology. I've been in Texas for almost three years and very much enjoy the warm weather and friendly people. 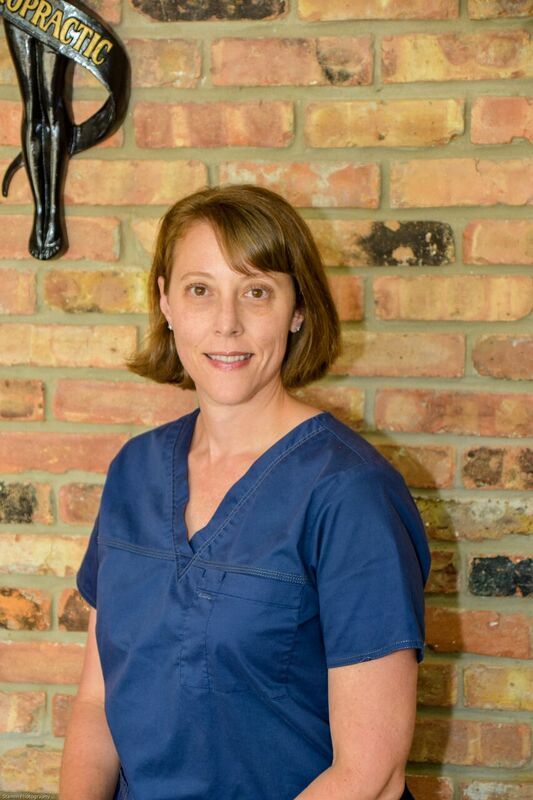 I have been in healthcare since 1996 working in various fields such as orthotics and prosthetics, dermatology and Chiropractic. When I'm not working with this great group of people , I love to read, watch movies (I'm a huge movie buff), and spend time with my children. 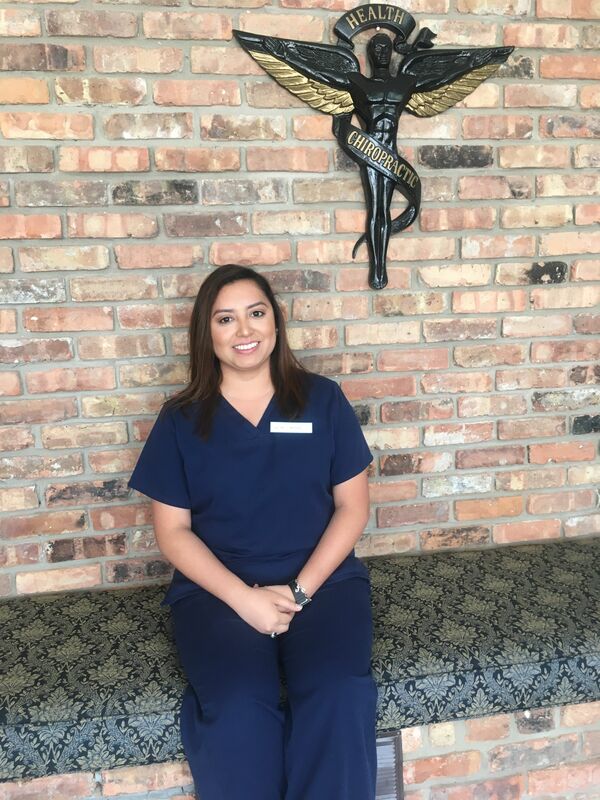 Hello my name is Jessica Chavez, the newest staff member at Champions Chiropractic Center. I was born and raised in Houston, Texas. I graduated from the University of Texas at Arlington with my Bachelor’s Degree in Exercise Science. 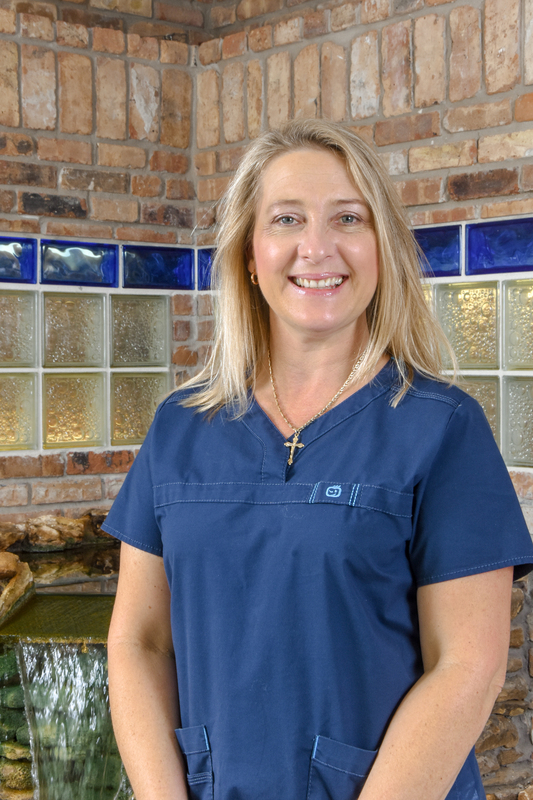 I had never had an adjustment before and the first time Dr. Royse adjusted me I felt relieved of the pain I had and I am amazed of the results I am having. In addition, I have symptoms of carpal tunnel syndrome which has improved by getting adjusted regularly and keeping myself accountable with some stretches. When I am not working, I like to work out, go on nature walks, and spend some time with family or friends. I am grateful to be working at Champions Chiropractic Center and I am Bilingual in Spanish and English. If you need any assistance in Spanish I am here to help!